Join David Urquhart Travel as we venture to the heart of the Yorkshire Dales on a tour to the village of Emmerdale! Visitors can enjoy a guided tour of the famous Emmerdale set, located on the Harewood Estate. 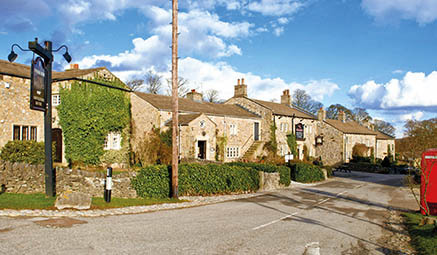 Walk in the footsteps of your favourite characters as we wander around the famous Village and even get the chance see the Woolpack – so don’t forget your camera! This is your chance to see where the stories come to life and step into the set of your favourite show! 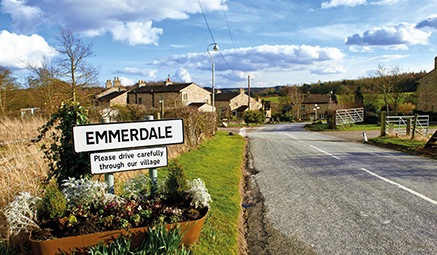 Emmerdale Studios Tour - Full Day - enjoy a tour of the iconic and much loved exterior set of the popular soap, Emmerdale! Enjoy a guided tour through the Harewood Estate sets where you will get a glimpse into the sets and storylines and workings of the popular TV programme. Wander around the ‘Village’ and get your picture taken outside the famous Woolpack. There will be time to discover the splendid gardens, with plants from all over the world in the magnificent landscape created by Lancelot ‘Capability’ Brown in over 100 acres of gardens. Enjoy Harewood’s renowned Bird Gardens too, home to exotic species including penguins, owls, flamingos and parrots – sensational.